YEREVAN, SEPTEMBER 11, ARMENPRESS. Machinery equipment and raw materials of industrial significance imported to Armenia will be exempted from VAT on the border from January 1, 2018, under proposed changes in the legislation. Lawmakers are debating the amendment of the Tax Code. 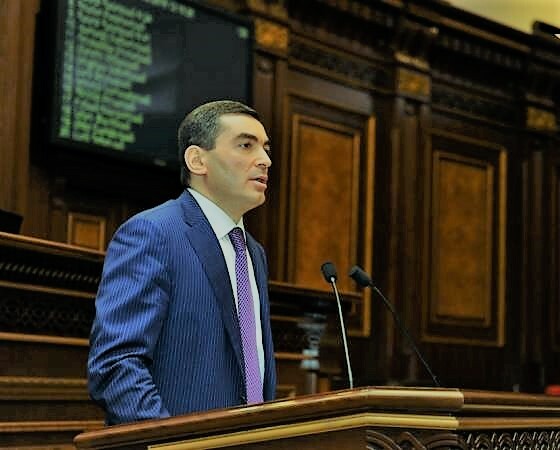 During the September 11 debates, deputy chairman of the state revenue committee Vakhtang Mirumyan said the purpose of the amendment is to enable businessmen to have circulatory resources and direct them to expand their businesses. The VAT, which won&rsquo;t be charged on the border upon importing machinery equipment and raw materials of industrial significance, will be paid in the further realization phase of the products which will be produced by using this equipment. We can consider this to be a bold initiative in both financial and timing terms, since in terms of timing the income effect can reach up to 40 billion drams, however, we think that long-term this action will have significant interference in terms of activating economic activity&rdquo;, he said.